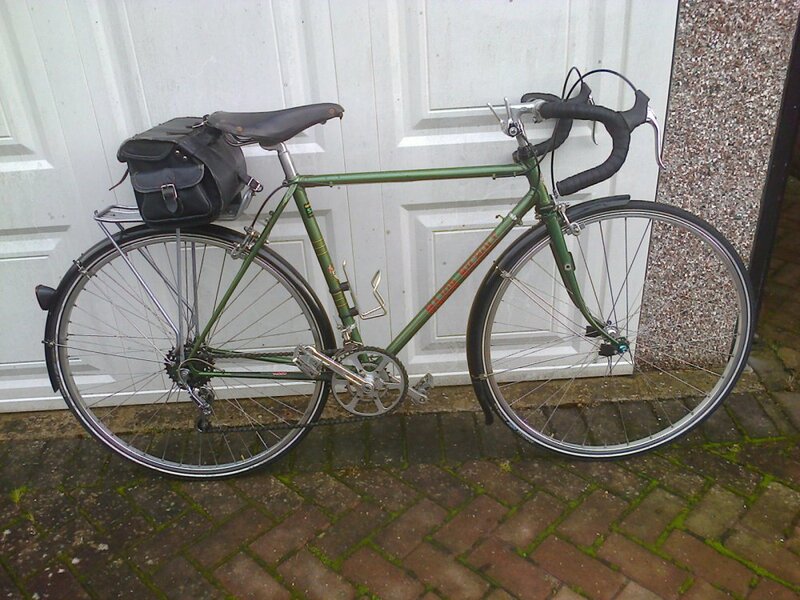 This is a very nice little tourer/club machine in outstanding condition. The frame number stamping of this genuine frame is unusual. See photo. From the Durban Road transfers the frame is post July 1971 when his Reform Street numbering finished and he moved shop, but we are unable to interpret the number at this time. It is unlikely to be post 1976. 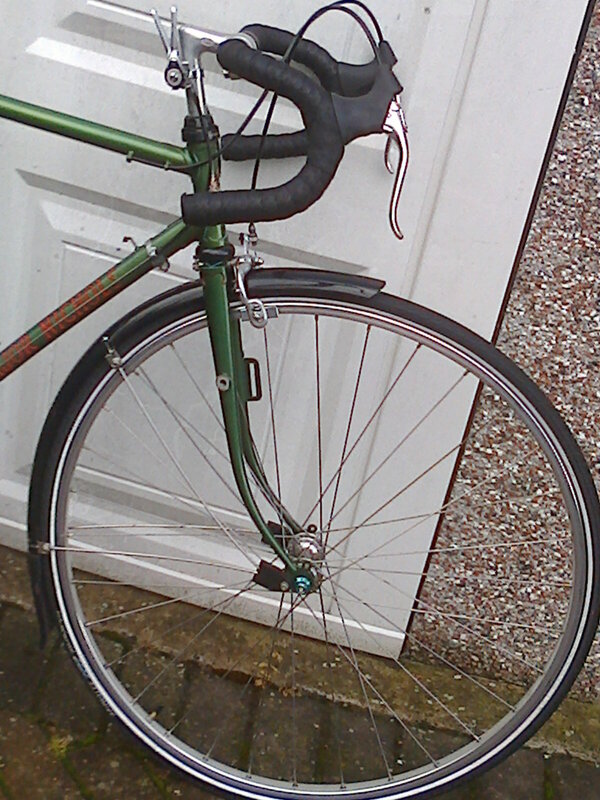 The frame has been professionally cold set to 126 mm OLD in order to accept later rear wheel arrangements. The Frame has been constructed Prugnat 62D Series lugs and the fork crown is a cast Vagner DP pattern with lozenge fraise. The lug spearpoints and crown have been neatly refined. 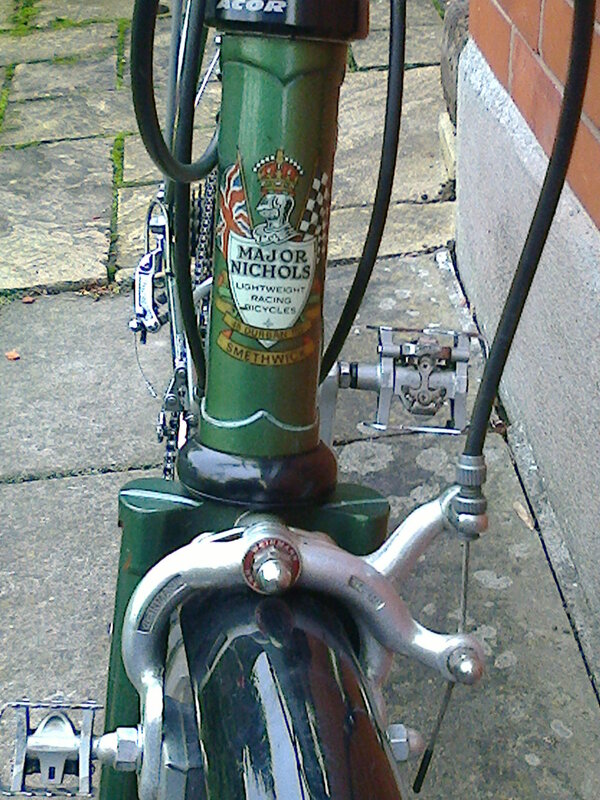 The pearlescent mid-green finish and use of the red downtube transfers show Major’s understanding of the use of contrast and at the other extreme the pleasing classic Green/gold relationship used in the seat tube rings and frame where they have been used to define a panel for the Durban Road transfer. The luglining uses gold, red and pale blue and the wrapover seat tube cluster with its white double fishtail motif is enhanced by the curve of the lowered seat pillar opening to the rear, an interesting feature of the build. The seatstay bridge is curved and reinforced. The chainstay bridge is curved. Cable guides at 6 o’clock on the offside for rear brake, pump pegs on down tube, BB and chainstay derailleur cable guides. Mudguard eyes and carrier eyes on dropouts, carrier eyes on seatstays. Fork lamp bosses on both fork blades with another option on the NS fork. Surprisingly no bottle eyes. The Reynolds transfer is a late addition after the loss of the original. 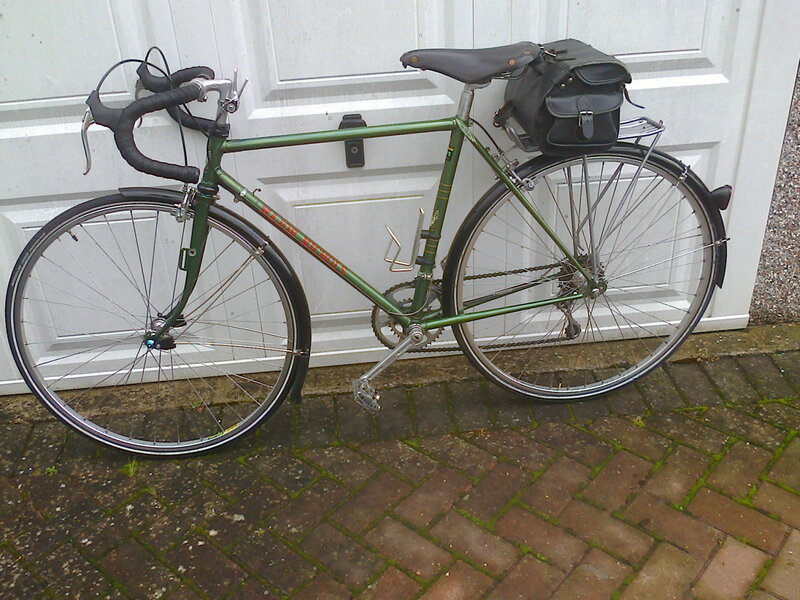 This could be replaced by an appropriate 1970s copy from H Lloyd Cycles.